Again, a very nice portrait. Somehow you can see in their eyes that they live a hard life. These people are amazing, strong, and completely remarkable. China\'s government is evil for what they have done. The story behind "Peace kid in Tibet"
Most children in the Tibetan towns were curious, but also a bit hesitant to approach the westerners with their large cameras. Some ask for money, others just wave some variation of the peace/victory sign, like this little kid.. 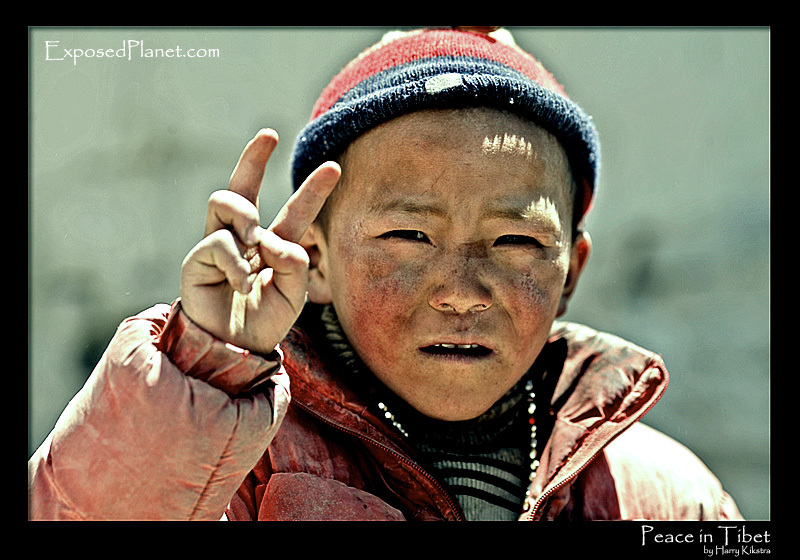 Most children in the Tibetan towns were curious, but also a bit hesitant to approach the westerners with their large cameras.Some ask for money, others just wave some variation of the peace/victory sign, like this little kid..